CHARLOTTE – The Institute of Museum and Library Services today announced that Discovery Place is among the 30 finalists for the 2017 National Medal for Museum and Library Service. The National Medal is the nation’s highest honor given to museums and libraries for their service to the community and for making a difference in the lives of individuals, families, and communities. Discovery Place was selected for its significant and exceptional contributions to its communities, including its efforts to bridge the STEM learning gap by working with both students and teachers from pre-K through high school; its commitment to economic accessibility through the ”Welcome Program” which has provided reduced admission for nearly 100,000 residents on public assistance; and, its innovative approach to serving citizens of all ages throughout the community through a distributed network of museums. On March 24, Discovery Place will be nationally recognized on the IMLS Facebook page to celebrate the Museum’s achievement. IMLS is encouraging community members to share their Discovery Place story on how the Museum has positively impacted their life. To Share Your Story, please visit www.facebook.com/USIMLS. In honor of its 70th anniversary, Discovery Place will also be celebrating on social media with “Discovery through the Decades,” sharing images, videos and memories of all the Discovery Place museums every hour, starting with the 1940s when Discovery Place Nature first opened as the Children’s Nature Museum. Follow along at www.facebook.com/DiscoveryPlace or on Twitter and Instagram at @DiscoveryPlace. The National Medal has only been awarded to two other Charlotte museums and libraries: The Levine Museum of the New South in 2005 and The Charlotte Mecklenburg Public Library in 2006. This year, out of more than 158,000 libraries and museums across the county, Discovery Place and the Charlotte Mecklenburg Public Library, along with 28 other notable museums and libraries, were recognized as finalists. The National Medal winners will be announced later this spring. The representatives from winning institutions will travel to Washington, D.C., to be honored in a White House ceremony. 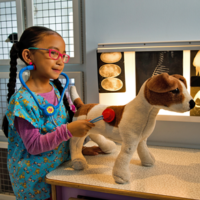 One of the top hands-on science museums in the nation, Discovery Place provides ever-changing, entertaining facilities that engage people in the active exploration of science, technology and nature. 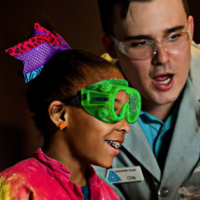 Discovery Place provides STEM education to the Carolinas through four distinct museum experiences at Discovery Place Science, Discovery Place Nature and Discovery Place Kids, interactive educational programming, professional development training and community outreach initiatives. 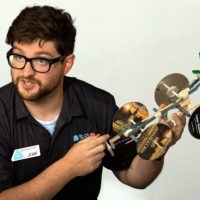 For more information about Discovery Place, call 704.372.6261 x300, visit discoveryplace.org or connect with Discovery Place on Facebook, Twitter, Instagram and YouTube. Discovery Place is supported, in part, with funding from the Arts & Science Council. The Institute of Museum and Library Services (IMLS) is celebrating its 20th Anniversary. The Institute of Museum and Library Services is the primary source of federal support for the nation’s 123,000 libraries and approximately 35,000 museums. Our mission is to inspire libraries and museums to advance innovation, lifelong learning, and cultural and civic engagement. Our grant making, policy development, and research help libraries and museums deliver valuable services that make it possible for communities and individuals to thrive. To learn more, visit www.imls.gov and follow us on Facebook, Twitter and Instagram.